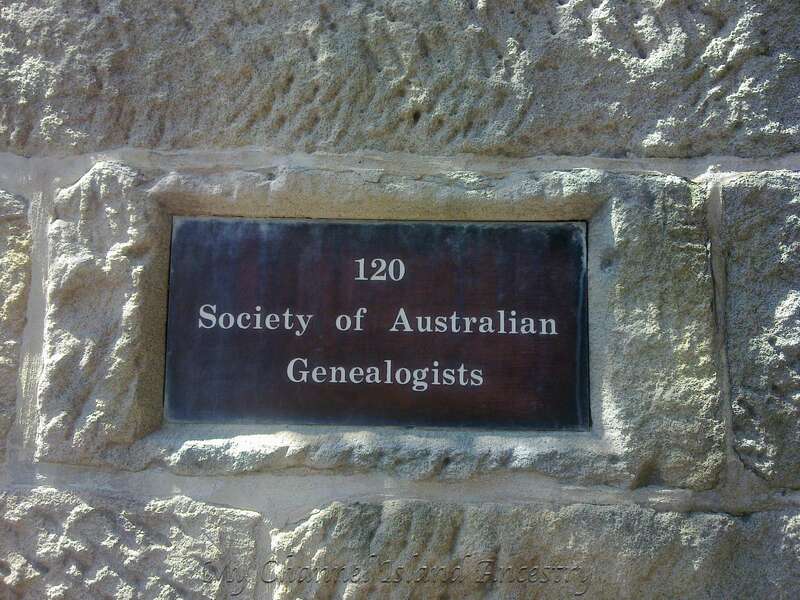 In a previous post I wrote about Another Ancestor in Australia. I had come across in a record for the list of passengers aboard the ship ‘Hobsons Bay’. The ship had arrived in the port of Southampton on the 19th October 1929, having been to Australia via Suez. On it I discovered was my Great Grandfather Henri Yves Rabet. He was travelling as a ‘Herdsman’ along with many other people and their variety of professions. A couple of ‘Tea planters’ from Ceylon, a ‘General labourer’ from Wales, a ‘Driller’ from Scotland, a ‘Stationer’ from England, an ‘Orchadist’ from New Zealand and ‘Banana Grower’ from Australia, amongst many others. Had he just delivered Jersey Cows to Australia? did he have any involvement in transporting the cows from the ship to the farms once in Australia? was he employed to help Australian farmers to rear this beautiful breed of cow? or was he there merely to transport them and look after their welfare on the long journey from Jersey to England to Australia? 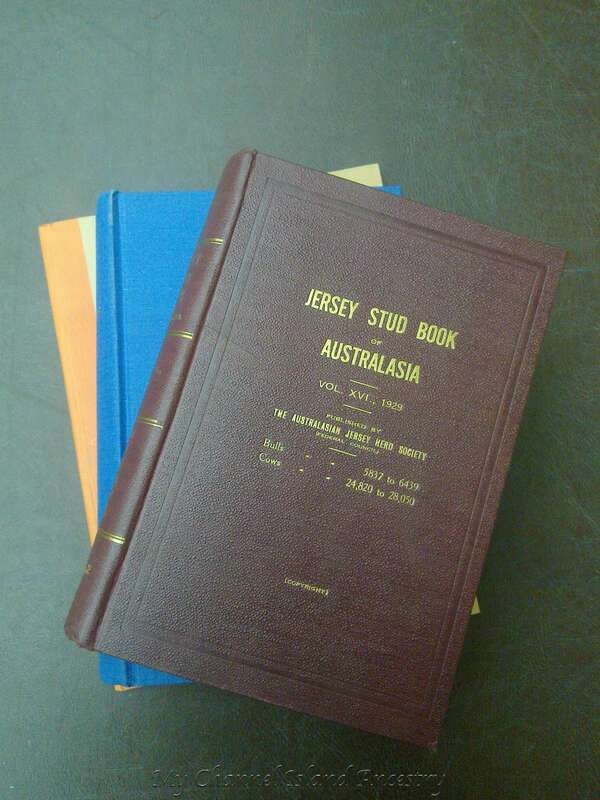 After quite a bit of unsuccessful online research to try and find more about the transportation of Jersey cows to Australia I decided to go and look around the various Archives, Society and Library records in Sydney city. My first stop was the two locations for the Society of Australian Genealogists – SAG Library / Shop and the SAG Primary Records Archive on Kent Street. Once I had explained what I was looking for to the lady on the Reception of the SAG Primary Records Archive she directed me to their other location, the SAG Library / Shop. I know I could have telephoned and asked my questions but I actually wanted to visit and see these places for myself. You have to pay to enter the Library and then their are volunteers inside who were very helpful. 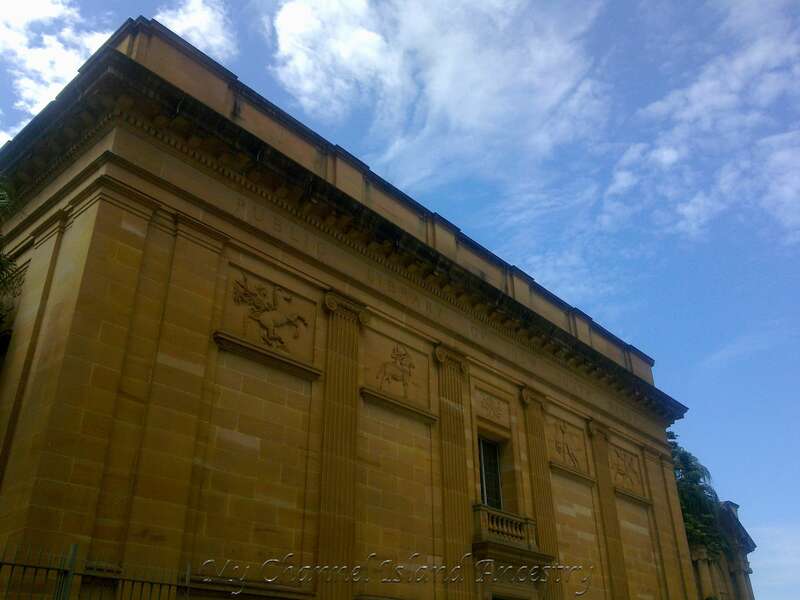 They had very little resources on the Channel Islands and even less on cows, so they directed me to the State Library of New South Wales on Macquarie Street. Once I had arrived at the library I joined up and explored the lovely building which apparently has an old and a new part. 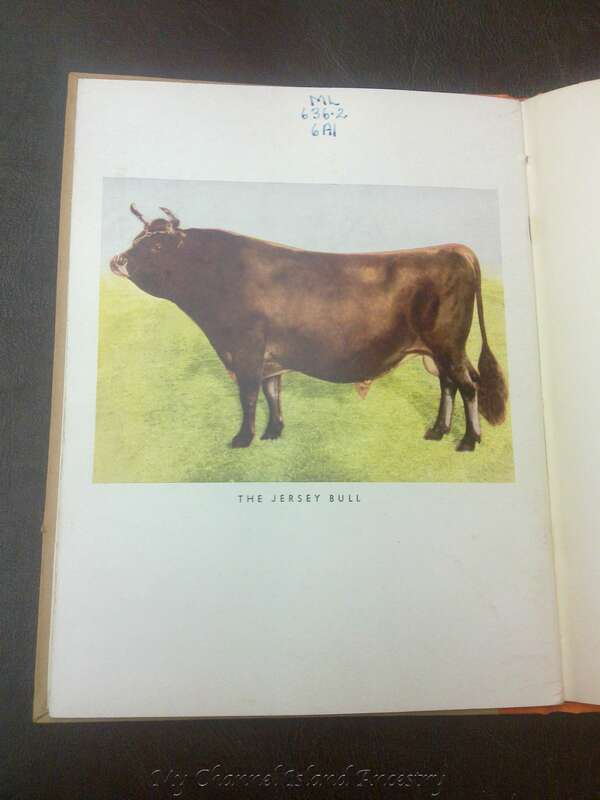 It was in the Mitchell Library where an incredibly helpful and enthusiastic member of staff guided me to a selection of books about the Jersey Cow. 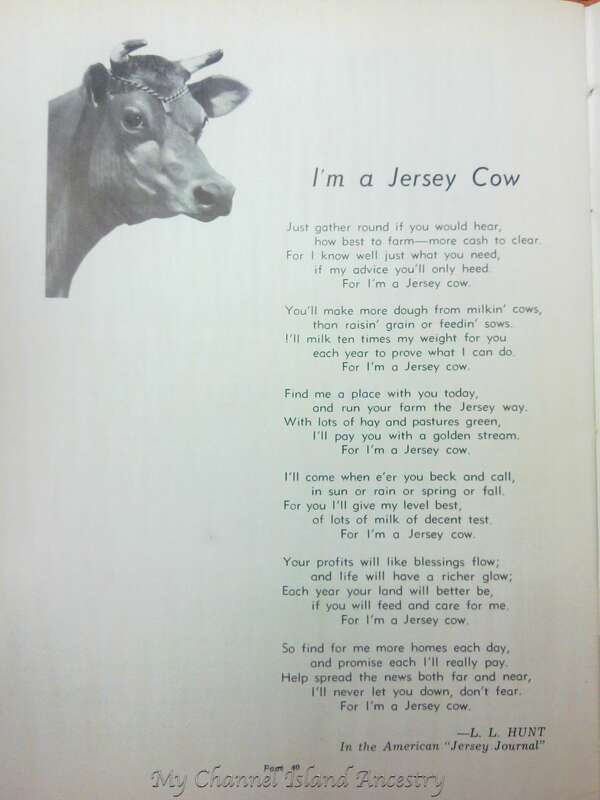 He was a little surprised at my request and admitted that he had never been asked to look up information about Jersey Herdsman and Jersey cows before! 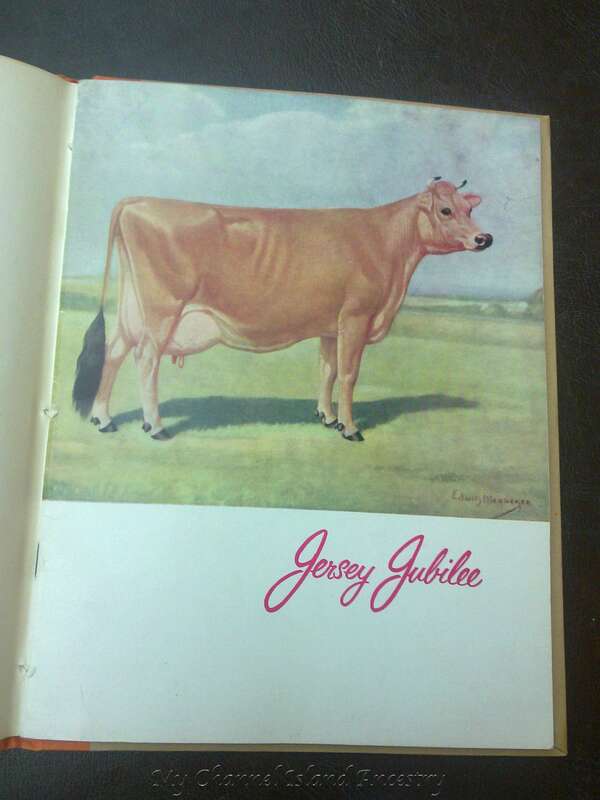 According to the Jersey Jubilee Book the history of the Jersey breed of cow is rather obscure. The first cattle bought to Australia were onboard the ‘Sirius‘ on the 8th November 1787. This was meant to have contained one bull, one bull calf and seven cows in it’s cargo, although the breed of cow was not stated. The ships that came after the famous first fleet, carried the following breed of cows: Devons, Durhams, Longhorns, Ayreshires and Alderneys. Apparently the term “Alderney’ was given to any animal that came from the Channel Islands and was used for many years. I never did find any record of my great grandfather, but it was all very interesting never-the-less. What I do know is that Henri’s wife gave birth to a son in the September of 1928, Henri went to Australia in 1929, and then his wife gave birth to a daughter in 1930. A very busy couple of years for them both! Previous Who is Francois Demoy?